Energy efficient installations can reduce running costs and provide equivalent lighting levels to traditional sources. T&W can design and install various forms of energy saving solutions. Light fittings can be chosen for there efficiency and appearance along with automatic switching and sensors which balance the natural light with additional luminance required. T &W Electrical can provide a design solution to meet current building regulations. We provide savings by means of supply and installaion of branded led downlighters with ‘chip on board’ led lamps and integeral Led drivers to maximise efficiency. This forms an excellent solution for all types of domestic installation. LED panels and T5 fluorescent lighting can be installed with the option of motion sensors. Theses sensors control switching and light levels balancing natural light and occupation. We design and fit control panels to enable automatic switching, this can be by means of ‘a duty’ system where luminaries operate alternately after shop hours allowing even lamp life and reductions in light levels whilst also saving energy. Consultation with the end user allows us to build a solution to customers’ requirements. 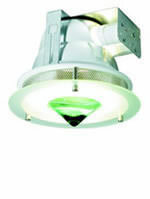 High levels of lighting can be achieved using specialist LED luminaries. This can result in approximately a 30% reduction in running costs. 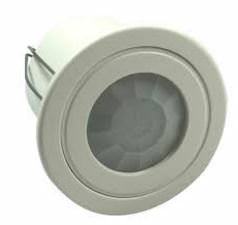 Movement sensors PIR’s can be installed to further reduce energy consumption. 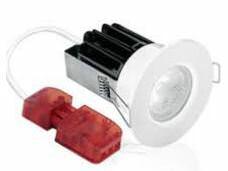 These can be mounted in each luminaire or seperatly controlling ares of lighting. 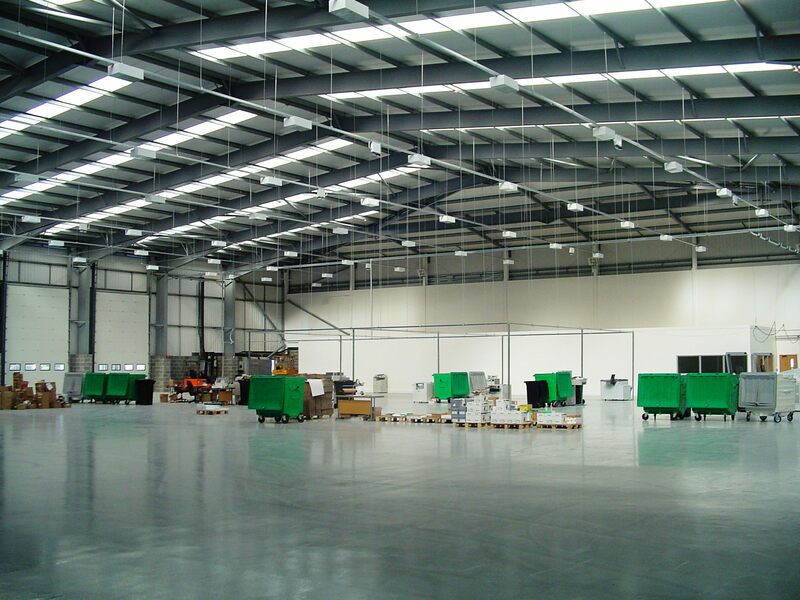 Office and Warehouse areas can be controlled using a range of sensors. Daylight contributions can be sensed by photo cell and part of our design can include dimmable luminaries which reduce light output. 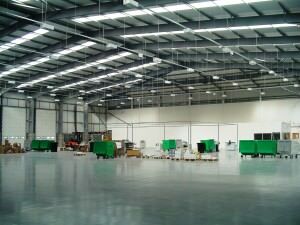 Warehouse lighting is generally installed on trunking, this provides containment of service cables for machines, ventilation and heating systems.